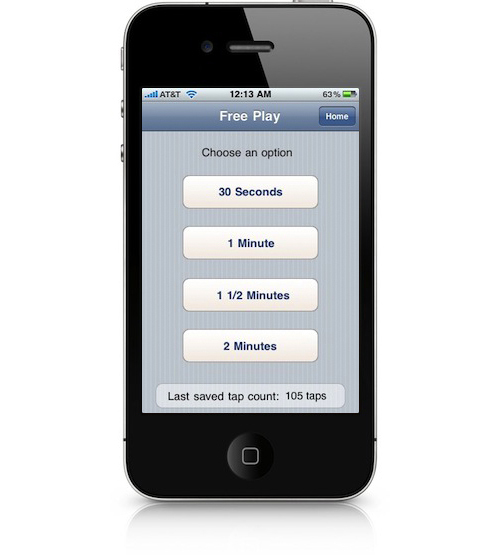 Based on the very popular online game Clickage, TapTest comes to the iPhone in an even nicer, multi-level interactive game! The objective: Tap the screen as many times as asked before the time runs out to proceed to the next levels. As the levels go on, the timer gets smaller and the required taps gets bigger, so make sure your fingers are well rested!